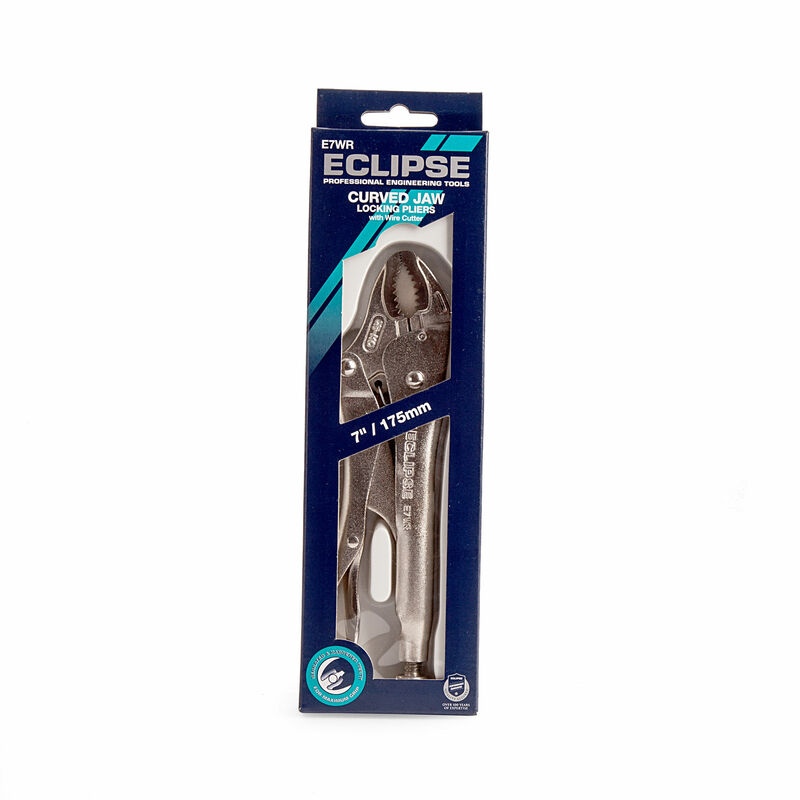 The Eclipse E7WR Curved Jaw Locking Pliers are designed for gripping and clamping round surfaces. 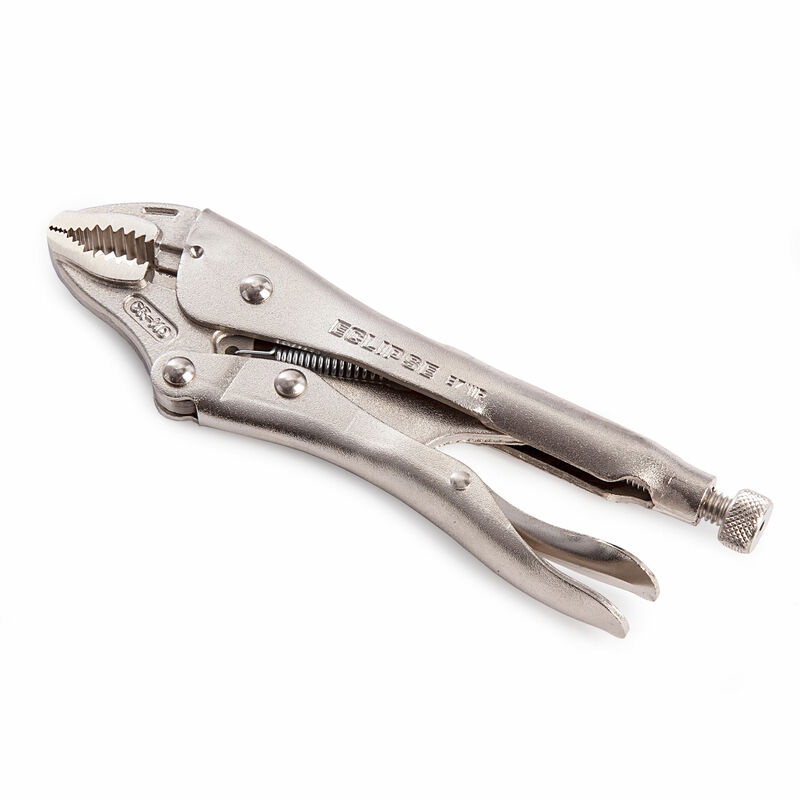 Heat treated, wear resistant serrated and hardened jaws provide a firm grip from any angle. Screw adjusts to fit the work piece and exerts a pressure that is maintained even after repetitive use. 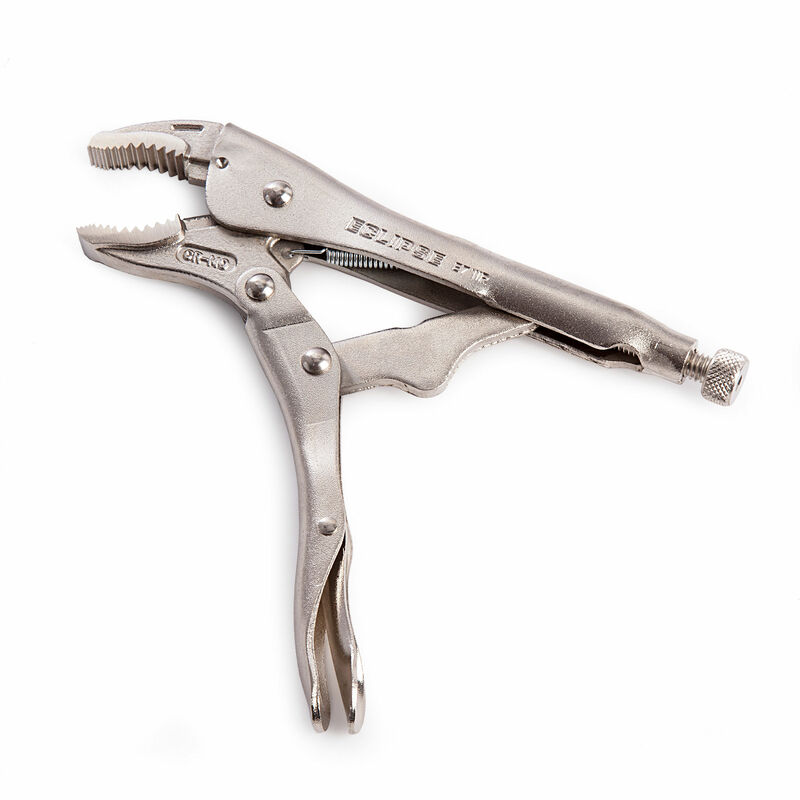 Body and jaws on all locking pliers made from high grade chrome molybdenum steel to withstand heavy duty working conditions, such as welding and hammer strikes. Guarded release trigger protects against accidental release whilst also enabling the tool to be quickly unlocked when required.